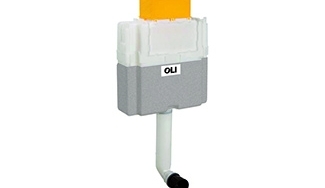 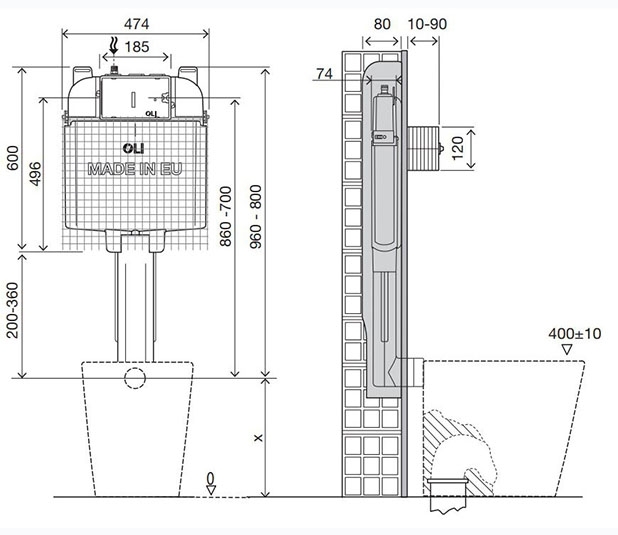 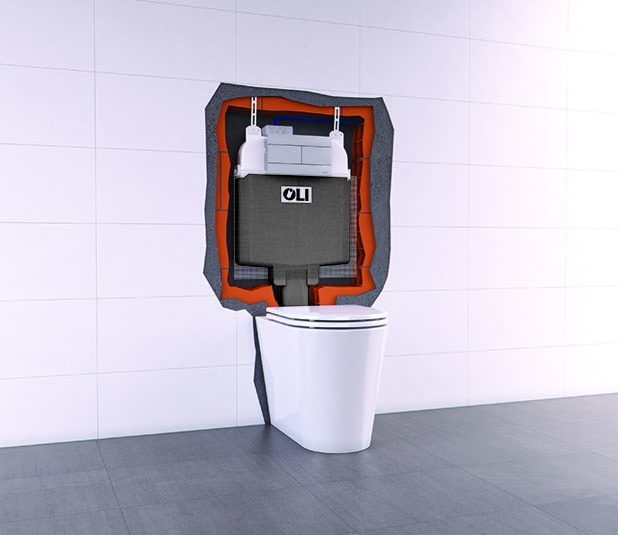 - OLI74 Plus Direct is ideal for floor-standing toilets and is suitable for all applications (drywall, light-walls, masonry and solid-walls that are brick lined). 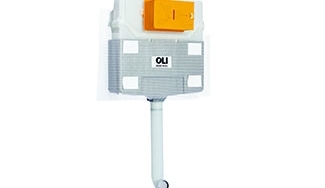 - OLI74 Plus is available with OLIpure, a closed storage system that disinfects your toilet with every flush. 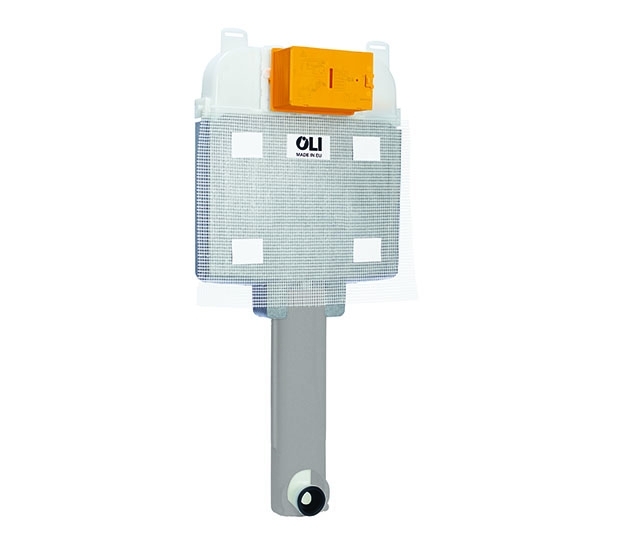 OLI74 Plus is also available with Happy Air, a fresh solution for air renewal. 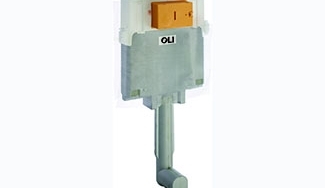 WC connection pipe Ø45 .